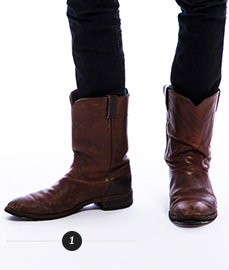 For a fashionable take on the rugged look, opt for these boots. They’re easy to style and made with a great-looking cotton canvas upper, durable outsole and logo across the ankle, making them perfect for explorers and adventurers, whether you’re in the city or out in the wild. Match them with dark indigo jeans and a hooded jacket for a slick look.